This quick and easy mushroom salad is made with bright lemon juice, Parmesan cheese and fresh parsley. Earlier this year I had one of the most delicious fresh mushroom salads while visiting a restaurant in Northern Michigan. Dining out in restaurants is one of my favorite sources of recipe inspiration. 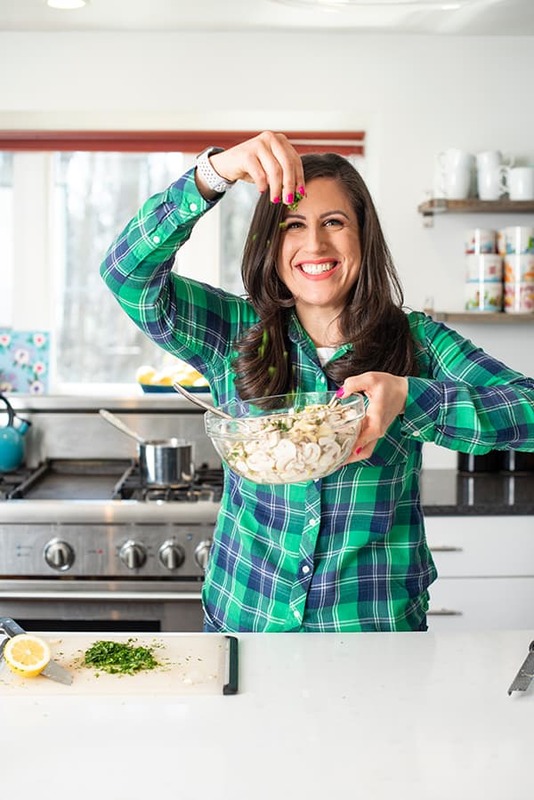 In fact, after just a few bites of the simple yet scrumptious fresh mushroom salad, I knew I had to return home and recreate it in my kitchen. 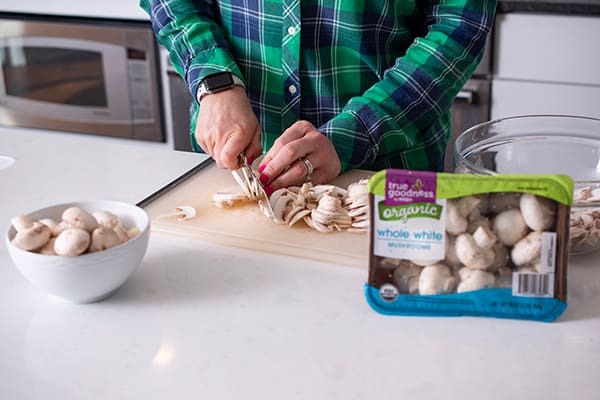 Since this salad is made with just a few simple ingredients, it is essential to use high quality produce. . Meijer True Goodness organic whole white mushrooms are readily available throughout the year and I can feel good about serving them because they have no added pesticides or chemicals. 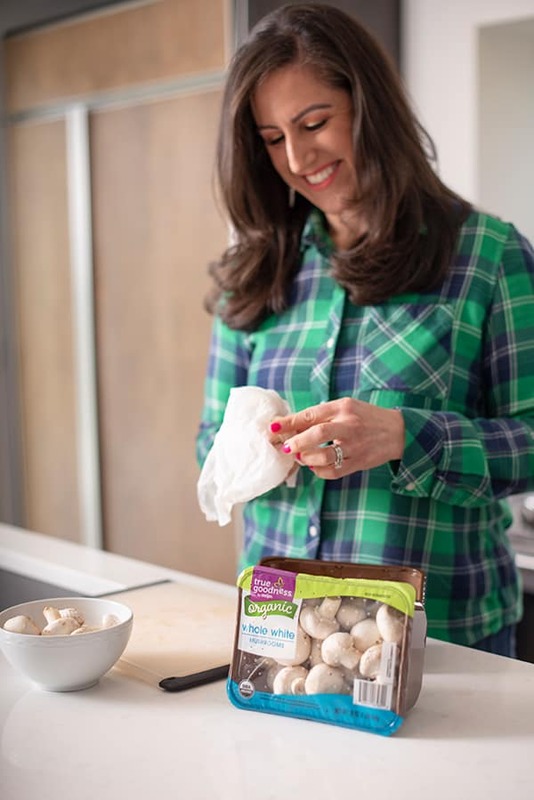 When cooking mushrooms at home, it’s important to clean them properly by lightly brushing off any excess dirt with a damp paper towel. Whatever you do, do not run mushrooms under running water as they will absorb the moisture like a sponge resulting in a watery salad. 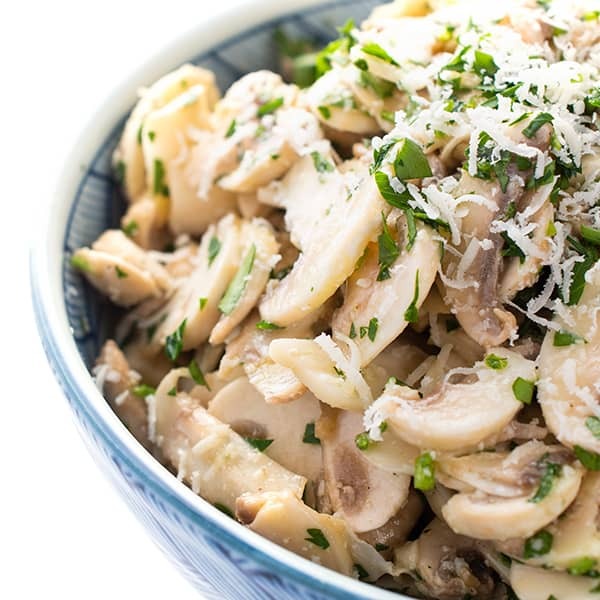 Once you’ve sliced the mushrooms you simply toss them with fresh lemon juice, olive oil, parsley, garlic and parmesan cheese. Season with salt and pepper to taste. Whatever you do, don’t forget the fresh herbs! (Meijer has those too!) 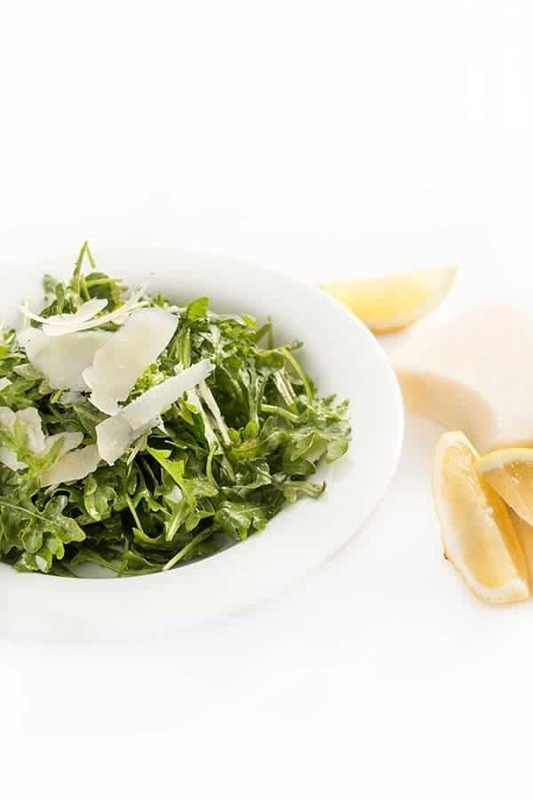 The bright, grassy flavor of fresh parsley balances perfectly with the sharp cheese and tart lemon juice. Ideal as a holiday side dish or to serve with a busy week night dinner, the entire mushroom salad comes together in just 10 minutes or less. Place all ingredients in a medium bowl and toss well. Taste for seasoning and add more salt and pepper to taste. Serve at room temperature or chilled. 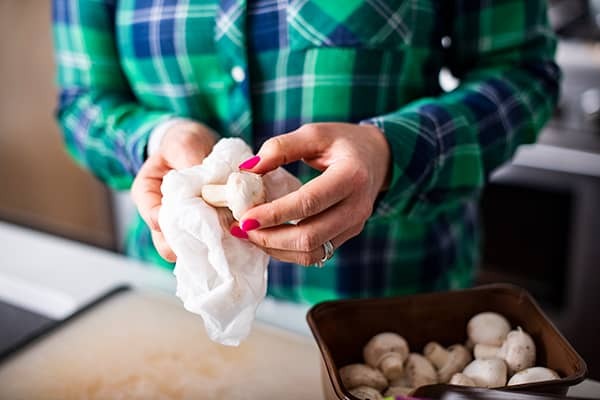 To clean the mushrooms, gently brush them with a damp paper towel. Want more delicious sides? Check out my Pinterest board! I love how flavorful it looks! Yummy! 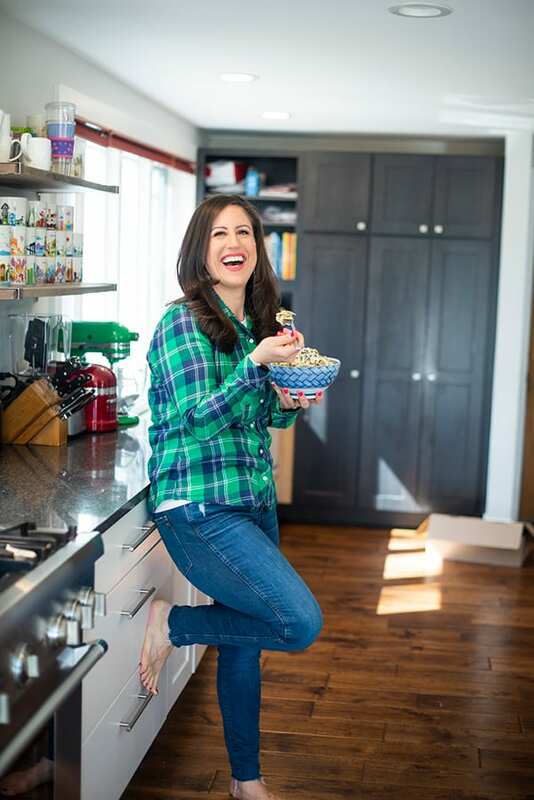 LIz, what’s your take on the safeness of eating raw mushrooms? I’ve read in other places recently that we should be eating only cooked mushrooms for safety. Thanks! 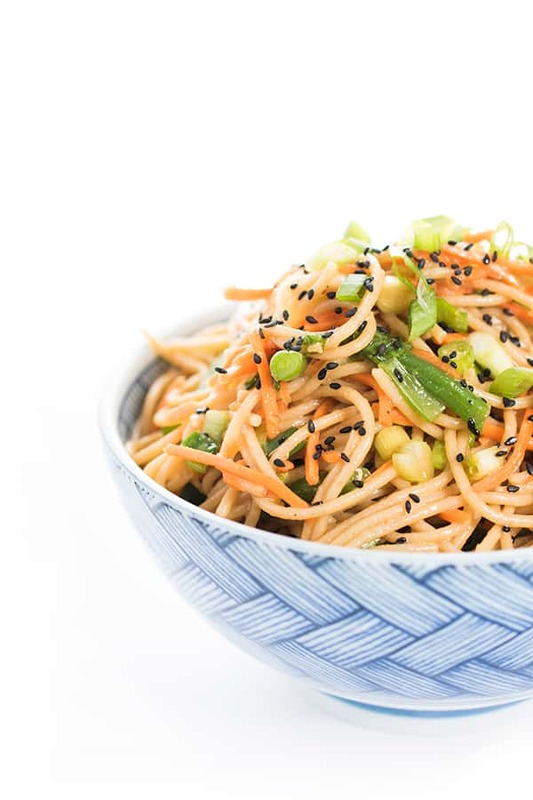 Love how simple this recipe is and made with pantry-ready ingredients! We love our mushrooms, so this is right up our alley!